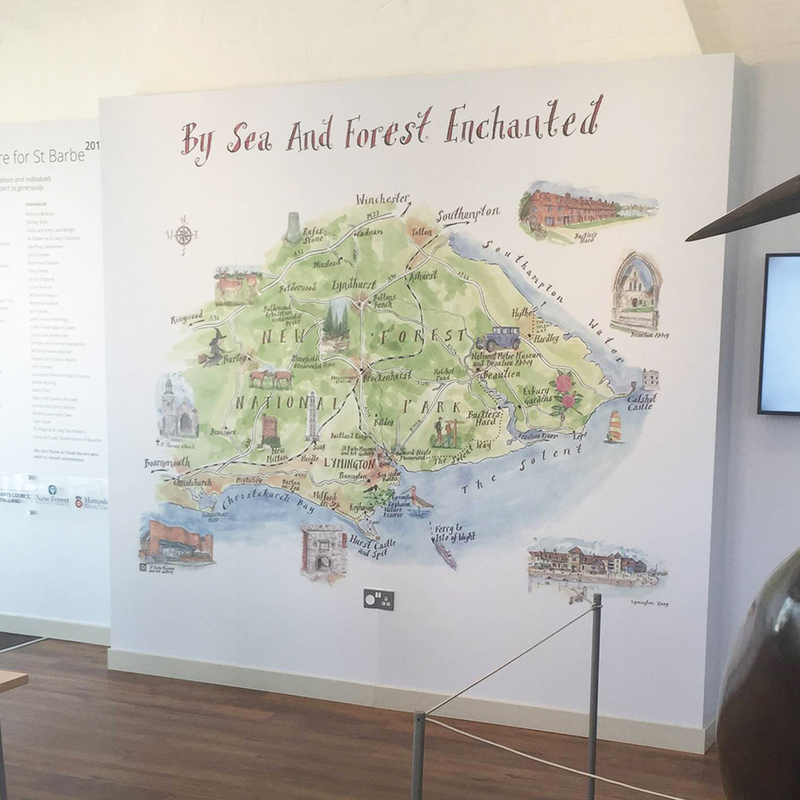 St Barbe Museum and Art Gallery is an independent organisation situated in Lymington, in the New Forest, and focuses on the local area. As part of a refurbishment in 2017, they decided to place a large map of the local area on the Museum’s ‘Communication Wall’. 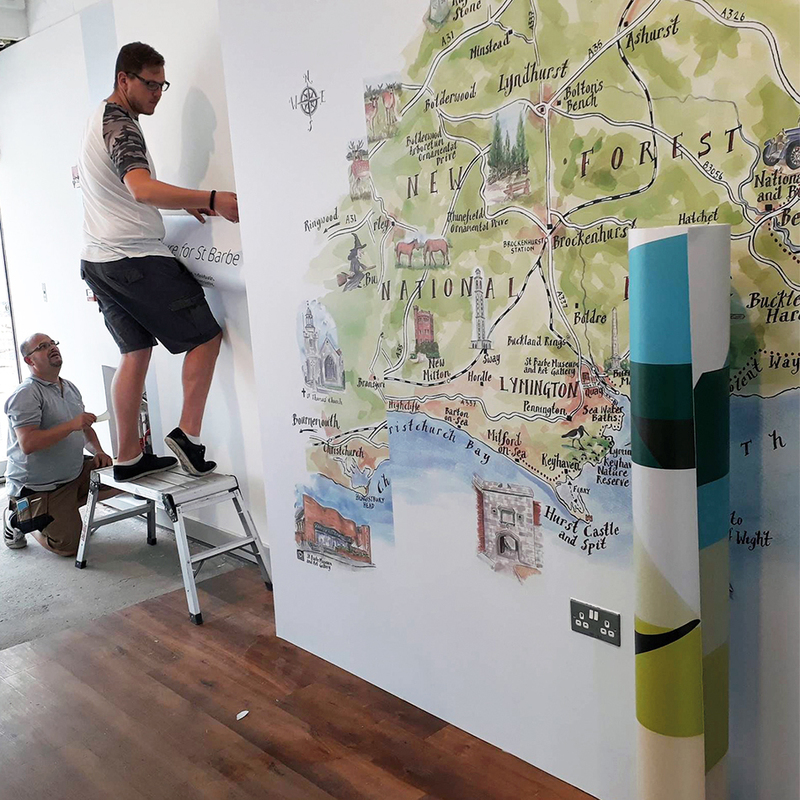 The Museum contacted Lovell Johns as they had seen a suitable image of an artistic map on our website, which they thought would complement the refurbished exhibition area. We consulted with the Museum’s Marketing and Communications Manager to get a feel for the project, including the area to be covered, which landmarks to highlight and the final size of the map. Our cartographer visited the site to get a feel for the project and how the map would fit into the Museum. This was also a chance to discuss the finer points of the map and any specific requests that the client had. We drew an initial proof to show the general layout of the map and the featured landmarks, so that the client could approve the image and comment as necessary before the final piece was created. The image is made by producing a watercolour background, which is scanned and blown up to size, with text and individual features being added afterwards. We reproduced the image in sections and it was mounted on the wall at the Museum. It is a stunning piece of artwork and a central feature of the new layout. 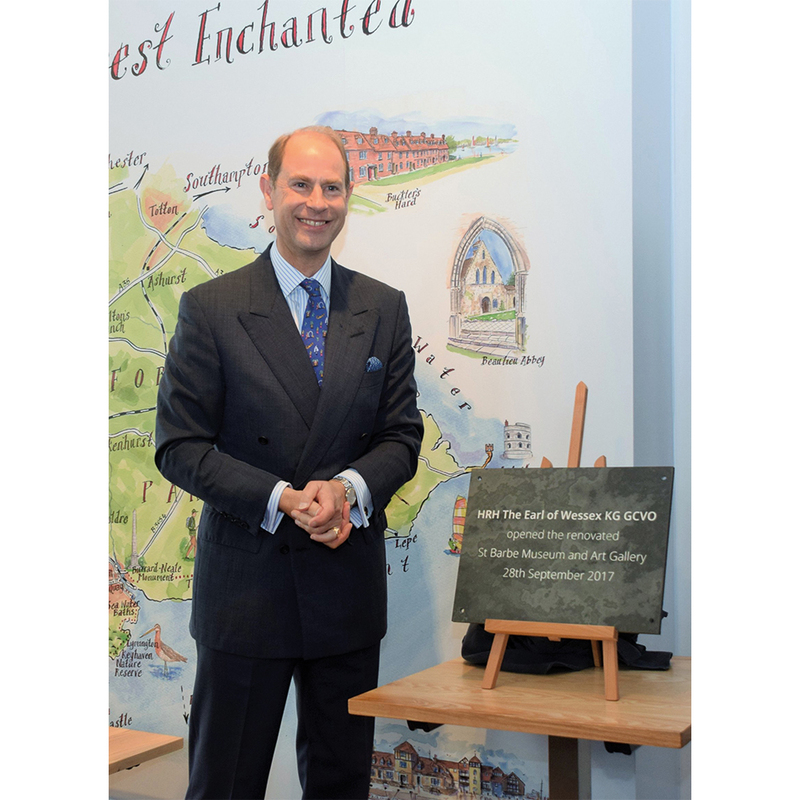 The refurbished Museum was opened by the Earl of Wessex on 28 September 2017 and has already welcomed thousands of new visitors. These images are courtesy the St Barbe Museum and Art Gallery’s Facebook page.